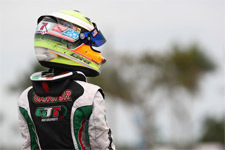 GT7 Motorsports team driver Dylan Tavella has been busy scoring win after win. 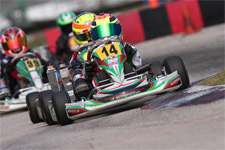 After closing out a busy Florida Winter Tour season, which saw the rising star contest both the Mini Rok class and the Rotax Max weekend in the Micro Max category, Tavella hasn’t let down. 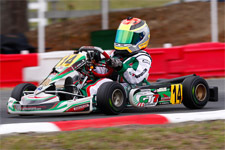 Turning his attention in the recent months to his Rotax Max Challenge regional series, Tavella has been on a tear, scoring six wins in six starts in the Northeast Region in the hotly contested Micro Max division. Taking to the familiar surroundings of Oakland Valley Race Park (OVRP) near Cuddebackville, New York for the first two rounds at the end of April, Tavella left with both feature victories. 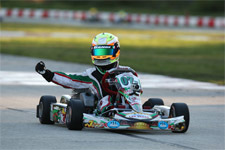 Continuing his winning ways at the New Jersey Motorsports Park event weekend in mid-May, Tavella added another two victories to his 2012 tally. 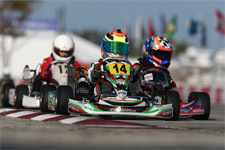 The beginning of June would see Tavella at the F1 Boston facility, again scoring both wins to make it six-for-six in the Northeast Rotax Max Challenge. 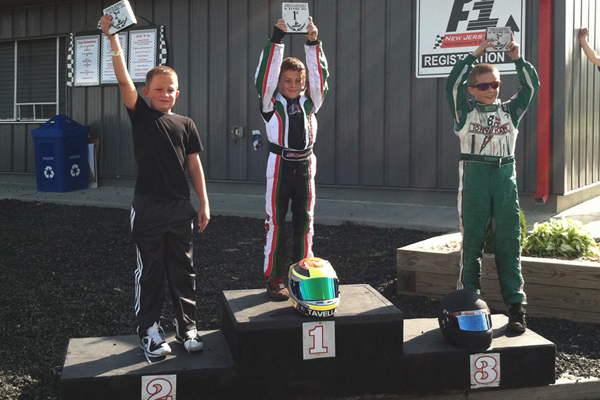 Also, Tavella would recently take in the Rotax Summer Shootout at the Jet Karting of Michiana Raceway Park in South Bend, Indiana, in preparation for the US Rotax Grand Nationals. As the gear-up event for the big national race, Tavella would get a taste for his competition, and again continue his winning ways. Taking the Sunday win by almost two seconds, Tavella has positioned himself as a favorite for the Grand National title. 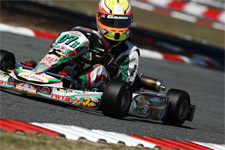 With the event just around the corner, Tavella has been busy turning laps at the Jet Karting facility. Recently garnering the #1 rank in the Micro Max division, Tavella is now ready to add a title of US Grand National Champion to his growing list of accomplishments. Dylan Tavella would like to extend a special thank you to his coach Bob Radivoy.